I recently saw the new Star Trek movie with my wife (we enjoyed it quite a bit) and in the pre-movie advertising there was an advert with a Shazam logo on it and if you tagged the ad audio using your Shazam app it would hook you up to a store site so you could directly buy the stuff shown within the ad. As an indie filmmaker, this immediately intrigued me: how could I put this to use in marketing my film projects? So when I got home I did some research. And was shocked by Shazam’s big-brother implications. 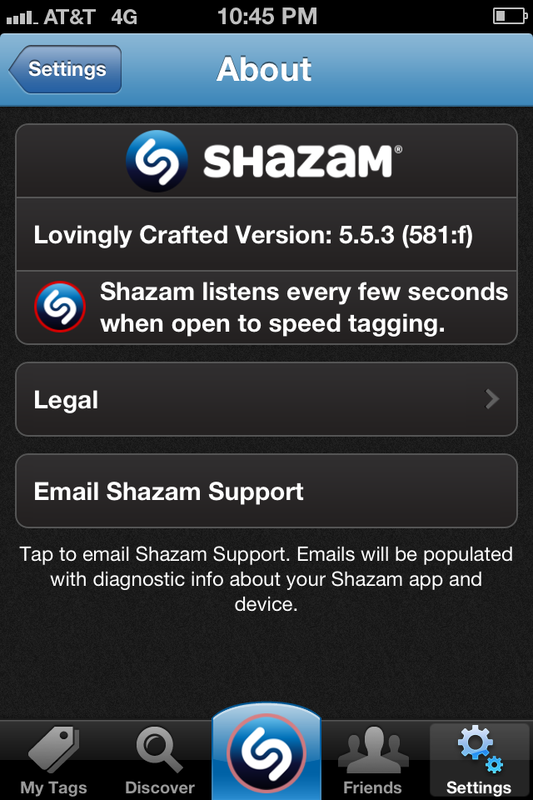 Did you know that the newest version of Shazam constantly monitors your surroundings? According to them, they only “sample” brief moments of your auditory life to see what “might” match up and you have to opt-in to this intrusion, but I have no recollection whatsoever about making the choice to click on any option to constantly monitor my life. And as we’ve seen with sites like Facebook (mentioned in The Atlantic article), once it amasses enough users and business comes calling, well, kiss your privacy goodbye.